Philippe Kahn (b. 1952) was born in Paris, France to Jewish immigrants from Eastern Europe. His mother fought alongside the French in World War II (with the rank of lieutenant), and went on to survive Auschwitz. Kahn studied in Zurich and Nice, attaining master’s degrees in both mathematics and music. During his studies, he wrote software for the world’s first modern personal computer, the French-made MICRAL of 1973. In 1982, he started his own company in California called Borland. It was one of the first start-ups to create software development tools, and stood out from other companies as it offered incredibly cheap products. (Its Turbo Pascal, for example, cost only $50 compared to the thousands of dollars that similar tools cost.) 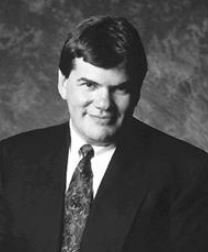 Over the next ten years, Kahn transformed Borland into a computer powerhouse with $500 million in revenue. However, a number of disagreements led to the board squeezing him out of his own company. Kahn took his severance pay and started a new company, Starfish. Just a few years later, he sold it to Motorola for a whopping $325 million. Around this time, Kahn’s daughter was born, and he got frustrated at his inability to quickly send baby photos to friends and family. He fiddled with his camera and his phone until he managed to link the two. He then sent history’s first photograph through a cellphone. This inspired him to develop the camera-phone, making it the focus of his new startup, LightSurf Technologies. This company, too, was bought out for $300 million. Since then, Kahn has started yet another company that designs and develops wearable technology. He is also an avid sailor, holding the world record for fastest San Francisco to Hawaii trip, and recently winning the Transpacific Yacht Race from LA to Hawaii. Kahn is credited with inventing the now-ubiquitous camera phone, and TIME Magazine included his first phone photograph in its 2016 list of the 100 Most Influential Photos of All Time. 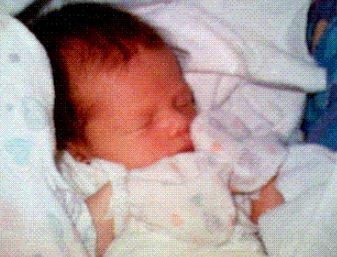 First photo taken and sent by a cellphone – June 11, 1997. TIME Magazine ranked it among the 100 Most Influential Photos of All Time. This entry was posted in Business & Finance, Science & Technology, World of Sport and tagged Auschwitz, Borland, California, Camera, Camera Phone, Cellphone, Computers, Entrepreneur, French Jews, French Resistance, Inventors, MICRAL, Photography, Sailing, Silicon Valley, Start-Ups, TIME Magazine, Transpacific Yacht Race, Yacht on April 26, 2018 by Jew of the Week.